Gardening has been one of my passions for as long as I can remember. 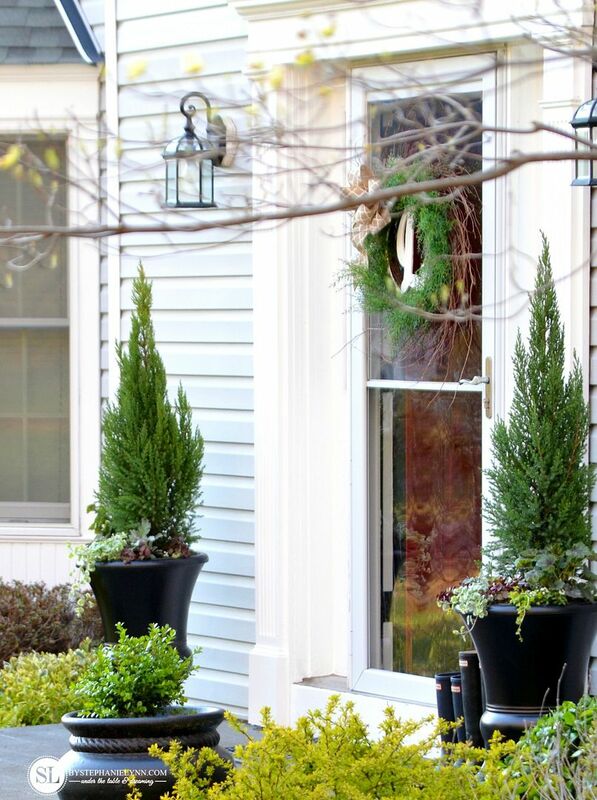 One project I truly look forward to this time of year, is putting together Container Plantings for our outdoor areas. There is no better way to welcome the new season then with its own natural beauty. The planters on our front porch are forever changing throughout the year. They tend to be the first project on the list for spring and create a huge impact, with just minimal work. 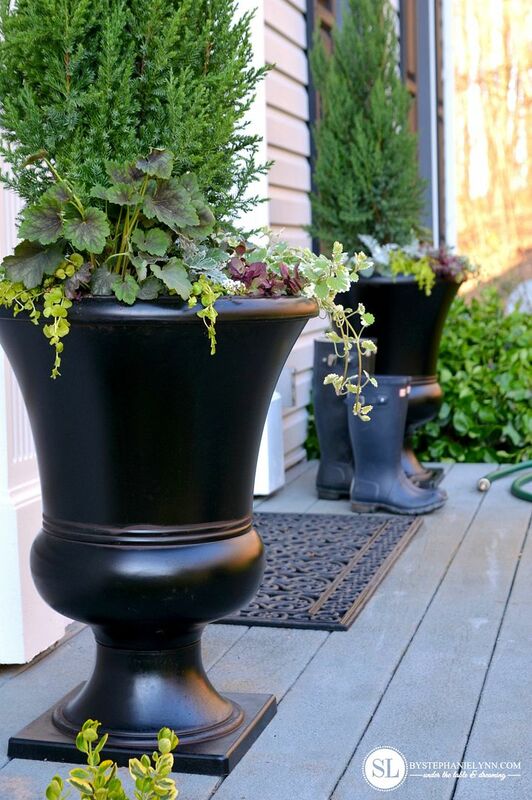 I began with two new Traditional Urn Planters from Big Lots. I was pretty excited to find these beauties – as they are not only large in size, but a great buy as well. 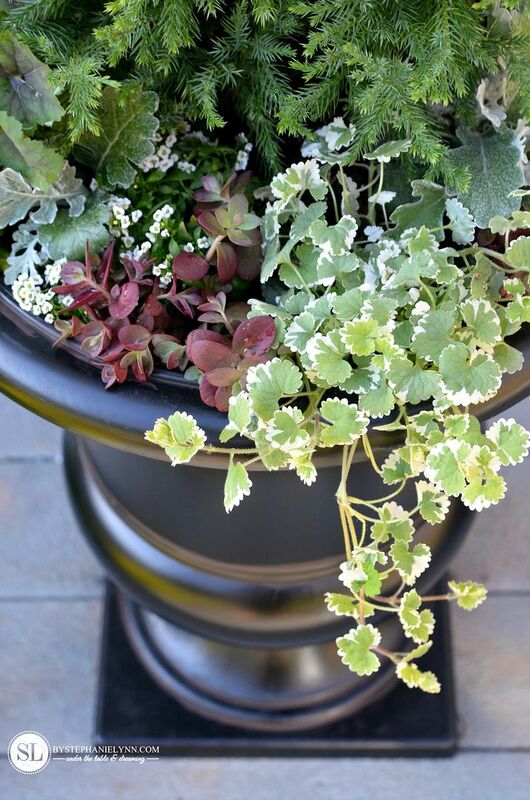 The planter itself is lightweight – which is perfect when considering a container this size – yet, the removable base has enough weight to make it sturdy and durable. I drilled a few holes on the bottom of each planter for adequate drainage. 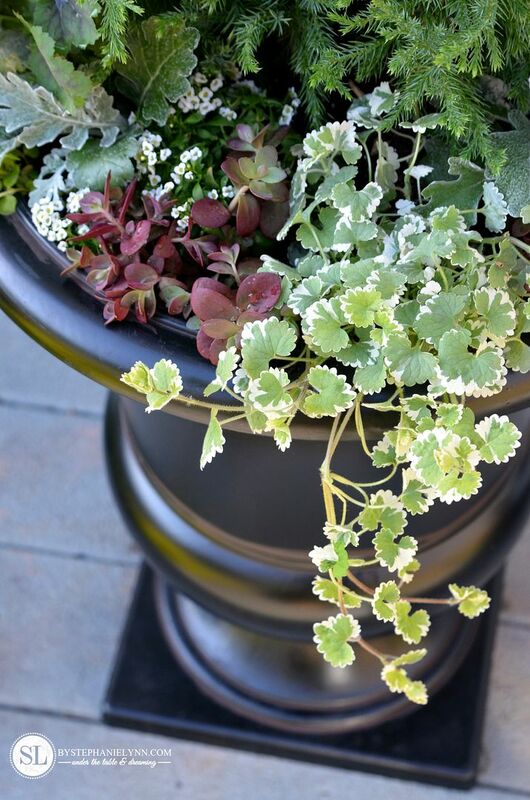 If the planter is curved I always pick the lowest spots on the container, where water may tend to pool. 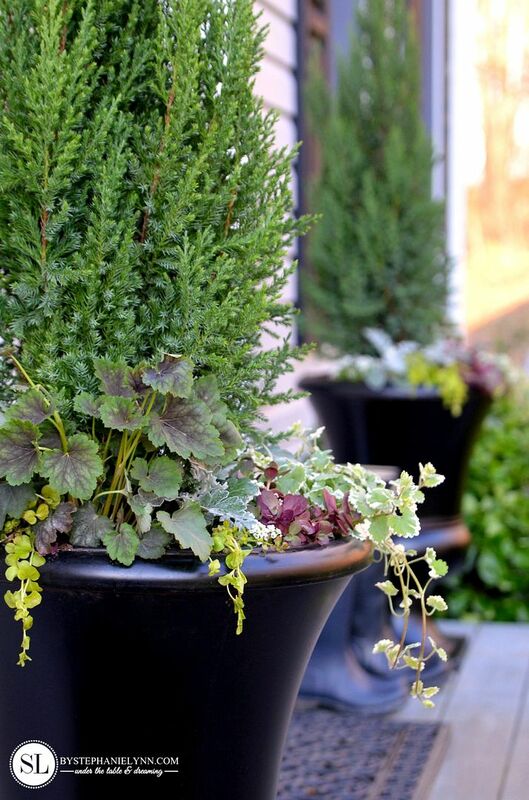 No matter how many Container Plantings I have put together throughout the years, I always follow the same simple ‘three-ingredient’ recipe for a no-fail luscious look. Thriller, Fillers and my favorite, Spillers. For our front porch, I always like to use some sort of shrub or tree for the thriller. 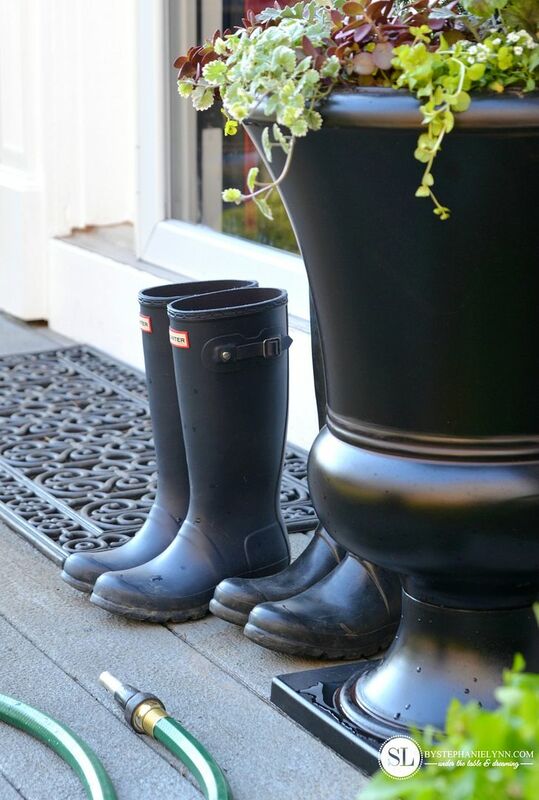 These not only add height to the planters and frame the door, but are generally hardy enough to survive the winters – leaving the star of the pot looking good year round. Another advantage of using small shrubs or trees is being able to re-plant them in your yard, once they have outgrown the planter. I generally use the same concept when choosing the fillers and spillers as well. 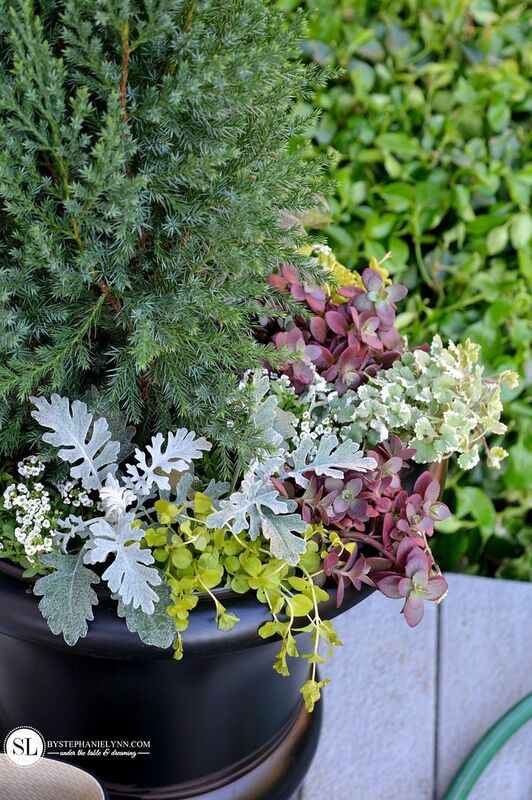 Since the Container Plantings are somewhat seasonal, I tend to choose perennials over annuals – since they can be moved to the garden and enjoyed years after their ‘container life’. Thriller – The centerpiece and focal point of the container. 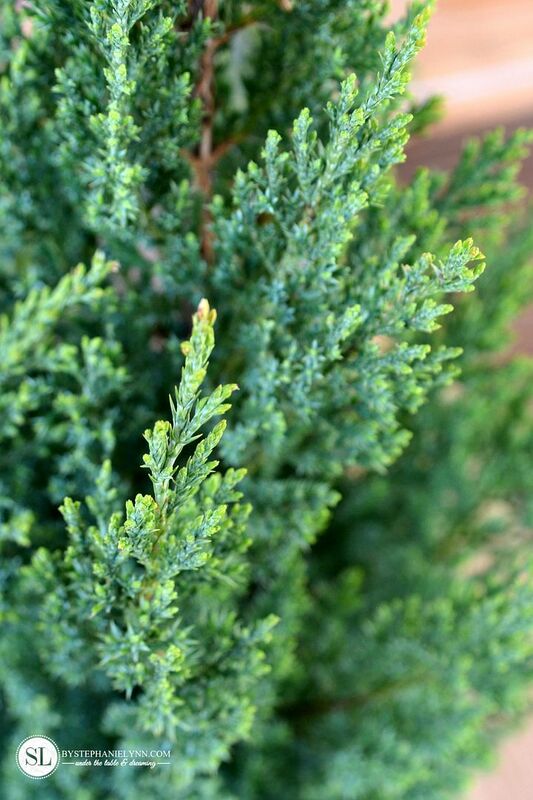 Pyramid shaped evergreen that maintains its natural form with practically no pruning. Densely branched with glowing blue-green foliage. 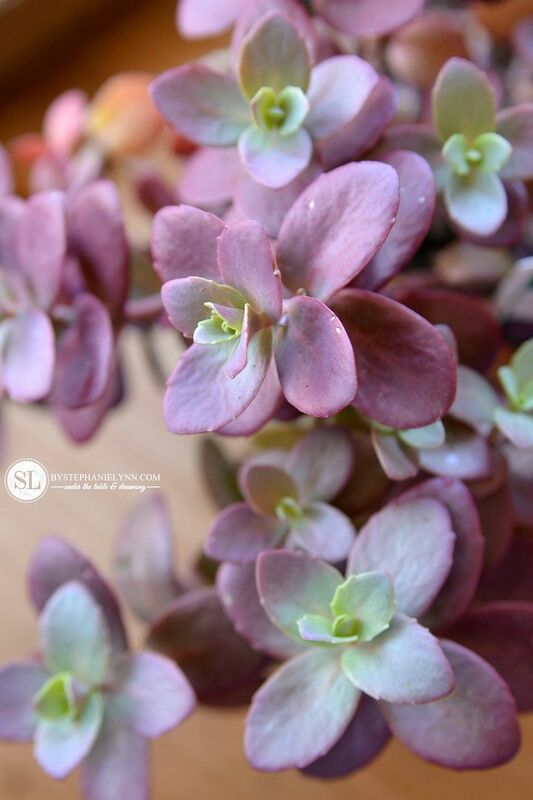 Grows in mounds of beautiful green heart-shaped leaves, with bold wine colored veins. 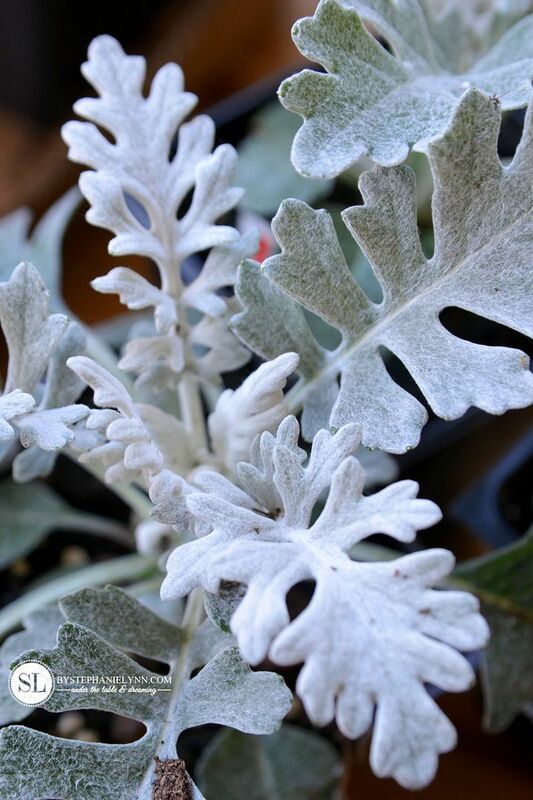 Lacy, silvery grey foliage that is long lasting and drought resistant. 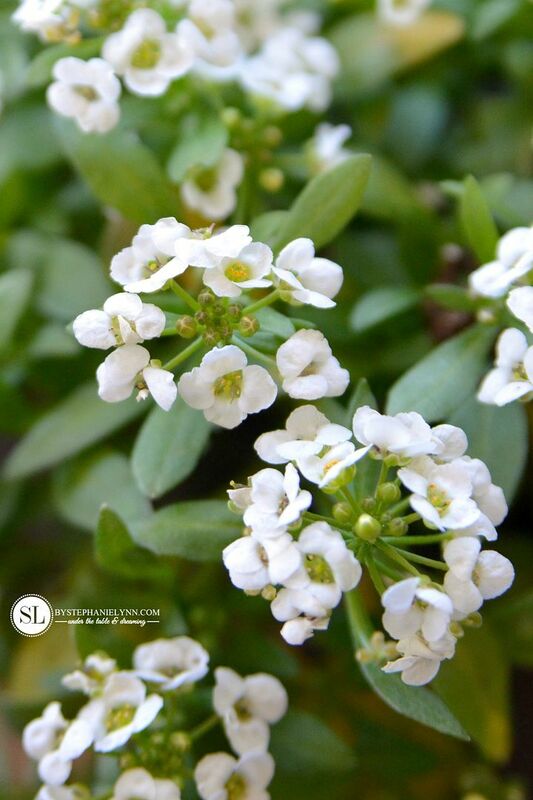 One of the easiest plants to grow in containers with succulent thick foliage and delicate flowers. 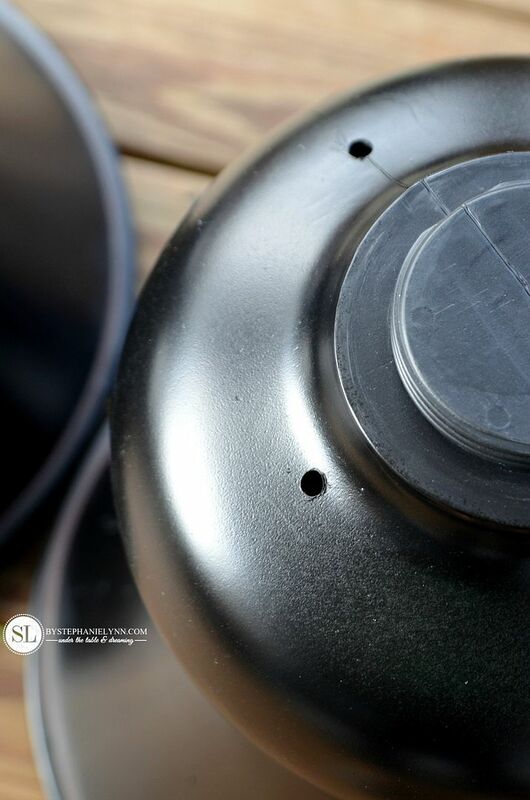 Although the compact mounding form is perfect used as a filler, the rosette stems can often trail over the side of container – doubling as a spiller. Fast growing, mounding carpet, perfect as a filler – with a creeping habit – doubling as a spiller. 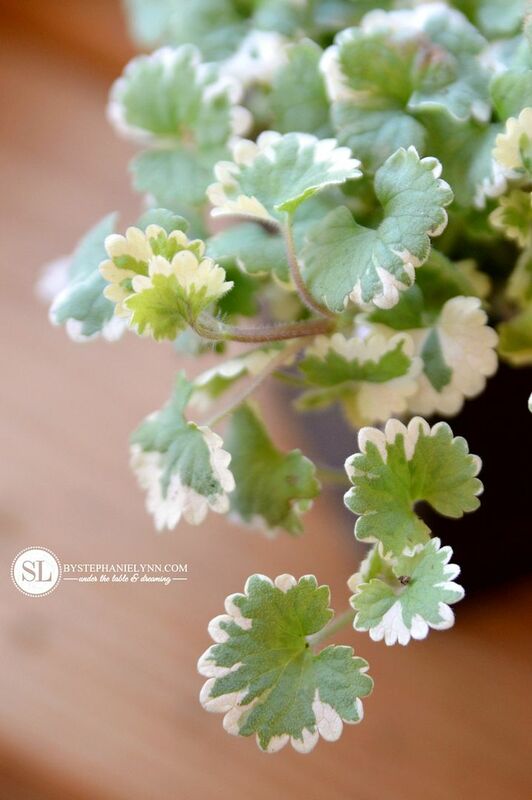 Fast Growing, cascading plant with dainty round green leaves, dappled with a creamy white border. 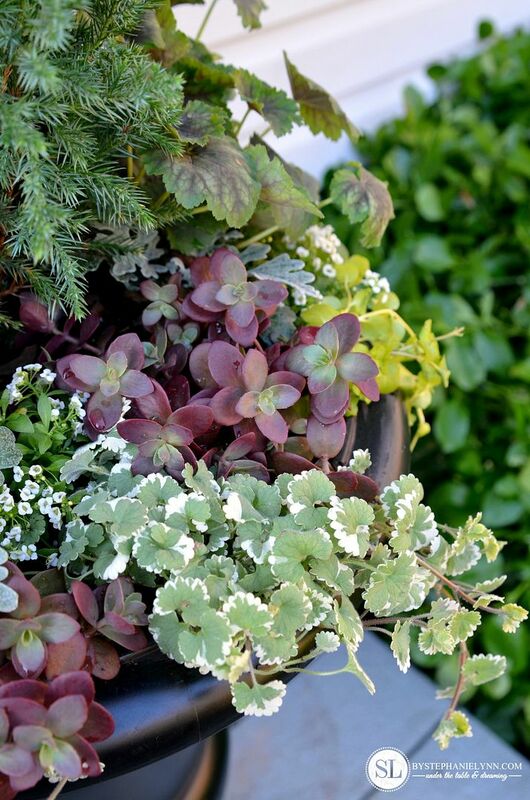 Dense ground hugging habit with long trailing, fine textured stems – perfect for spilling over the containers edge. The vibrant, round-shaped, ruffled leaves remain a bright chartreuse color all season long. The planting began with a small amount of organic potting mix placed in the bottom of the planters. Check to make sure the potting mix contains a slow release fertilizer. If not, it can throughly be mixed with the soil when planting. The first plant(s) to place is the thriller, which is typically placed in the center of the container. Since our urns are being placed against the house, the thriller was centered towards the back of the planter. The fillers and spillers were then alternately placed throughout the planter – keeping in mind the growing habits of each plant. Spillers placed close to the planters edge and fillers woven into the empty spaces. There are so many colorful annuals so pleasing to the eye, yet I always seem to be drawn to muted palettes, rich with interesting textures. 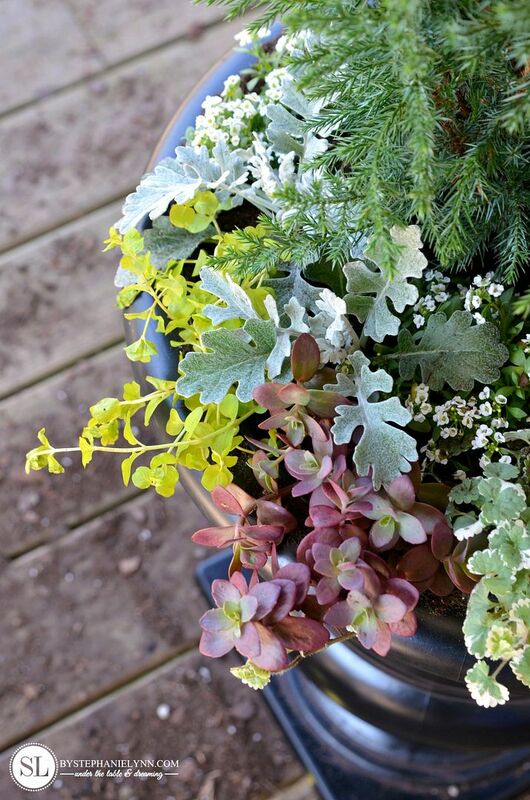 I continuously fiddle with our planters throughout the spring and summer, keeping an eye on the growth and plant health. Because I do like to use a lot of perennials, if anything becomes too overpowering – it can simply be removed and replanted in the garden. 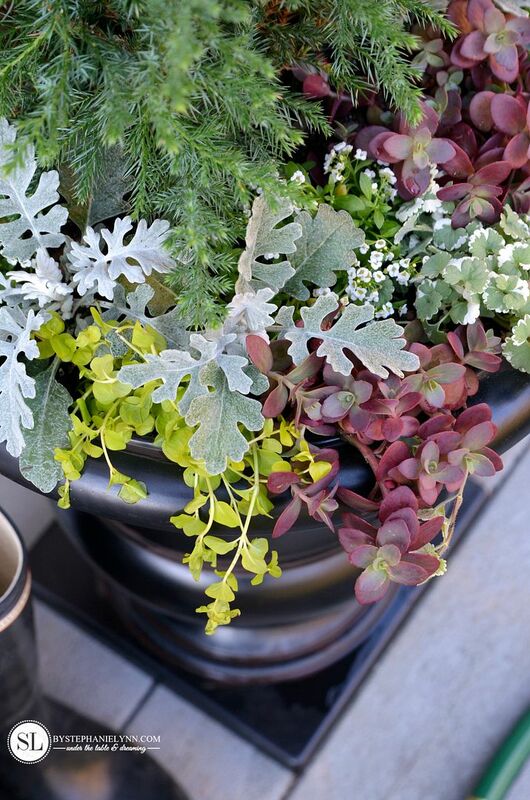 There is no need to overthink Container Plantings. Even though the thriller, spiller, filler recipe will create a interesting and balanced container – plant what you love and enjoy the beauty. 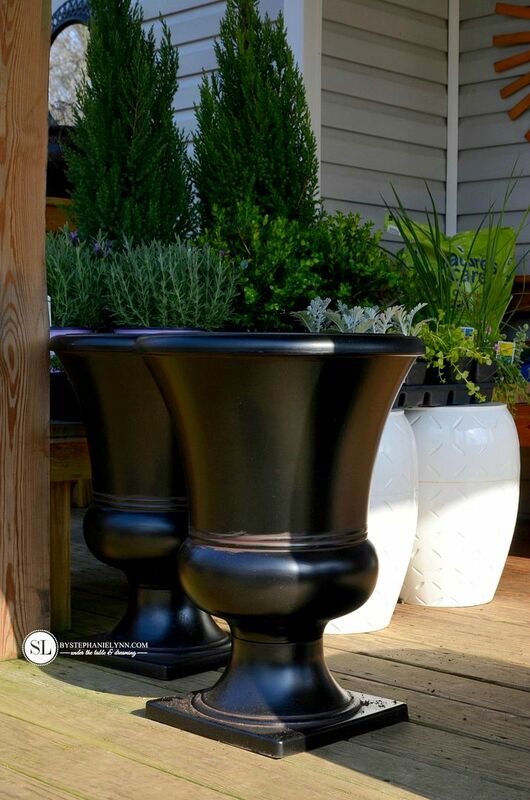 The large urns for our front porch container gardens were conveniently picked up at our local Big Lots. I love strolling through our Big Lots this time of year, as you never know what high-quality lawn and garden items you may find – to perfectly compliment your outdoor space. How is your outdoor space coming along so far this season? All styles and assortments vary by store. Stephanie you can come do my pots any day! Those are gorgeous, thanks for sharing your tips. i love your container strategy. 🙂 great tips. 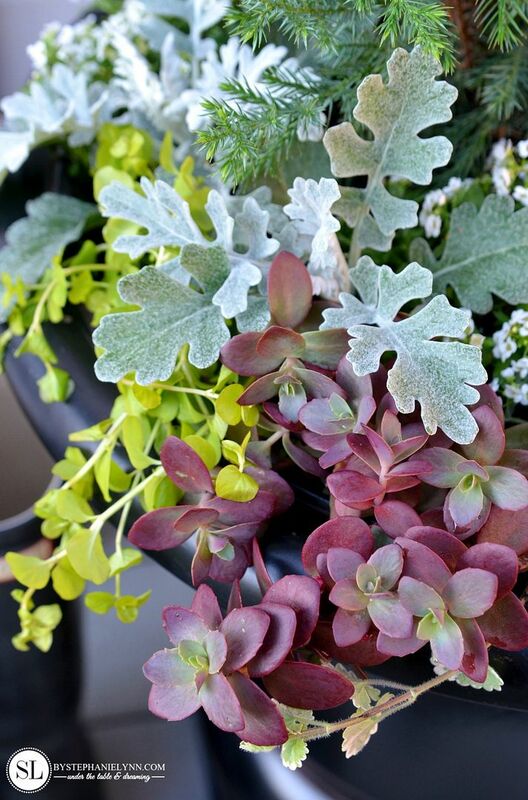 your containers look like they are ready for the season! 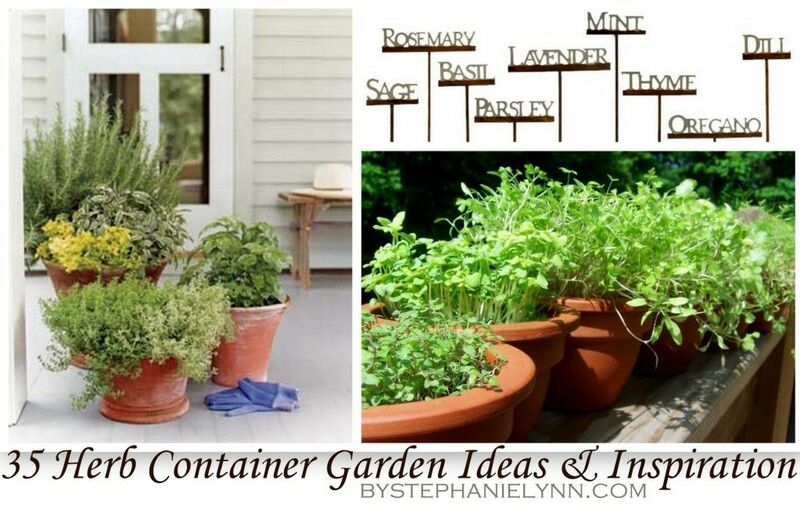 Nice containers! 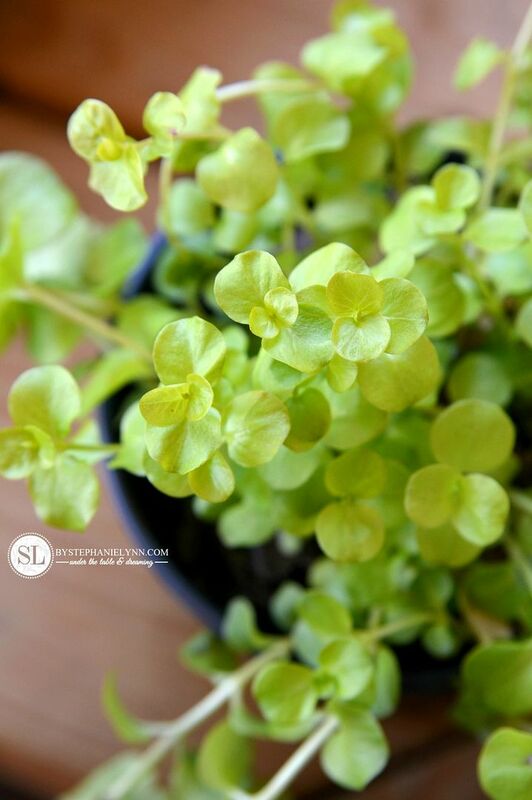 I have a spiller that has been a winner for me – totally different texture than many spillers – creeping wire vine. Nice little perennial – easy to grow – have had several in pots and in the garden for several years. 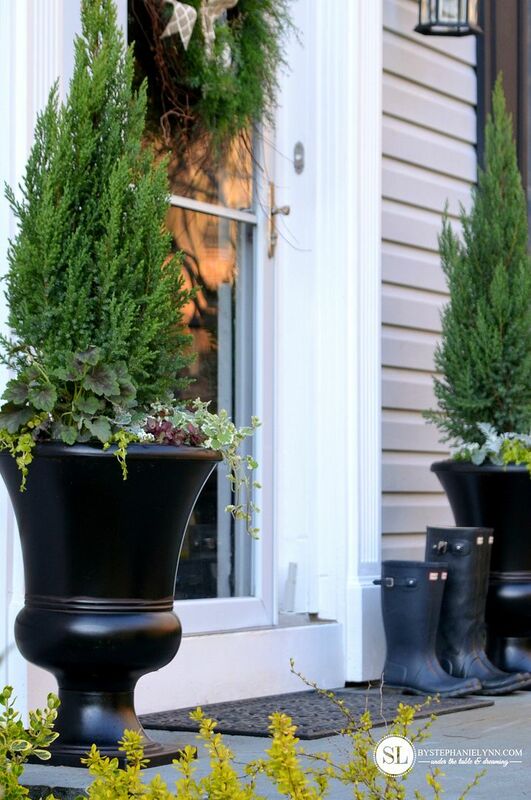 Your planters are gorgeous, Stephanie! 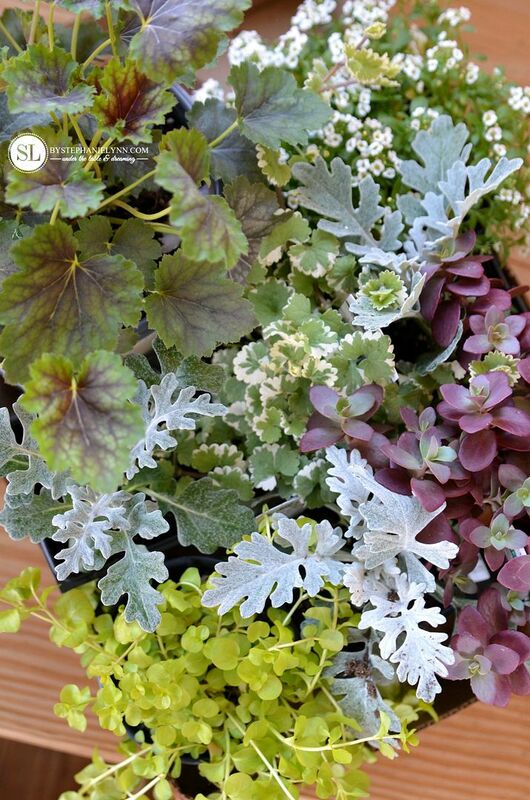 You have chosen beautiful plants that will look great throughout October – at least they would here in Virginia! 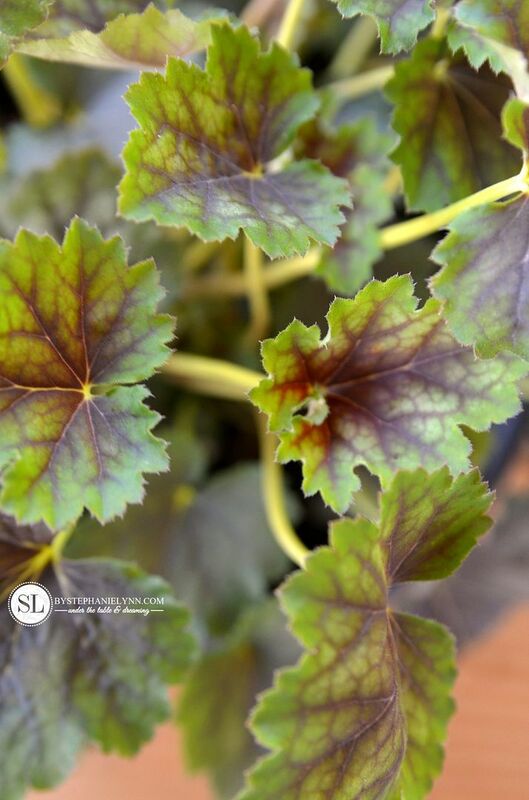 I use Creeping Jenny a lot, and you are smart to use perennials. Fantastic job!